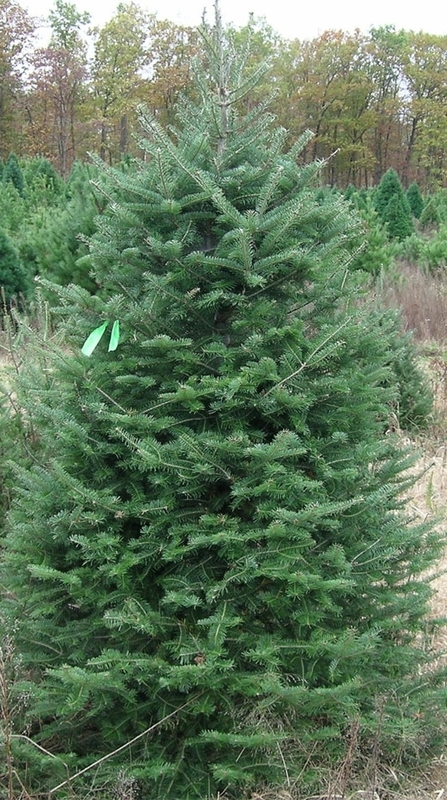 Below you will find our selection of available Christmas tree varieties. One of these is sure to be the right tree for your home this holiday season! What kind of tree should I buy? The Balsam Fir is the most fragrant of the firs. It is a native of Wisconsin with short, 3/4" - 1 1/2" flat needles. The needles are singly attached and form a very soft, feather-like spray of foliage. Use the Balsam Fir as a lightweight option for smaller spaces or boughs for decorating mantels and entryways. It also lends itself to a beautiful option for large trees, 12' and above. Some have real concerns over the concept of using a fresh-cut Christmas Tree in their home. Here we'll try and put some of those more common "myths" to a rest. "We're destroying forest regions that are home to many animal habitats." 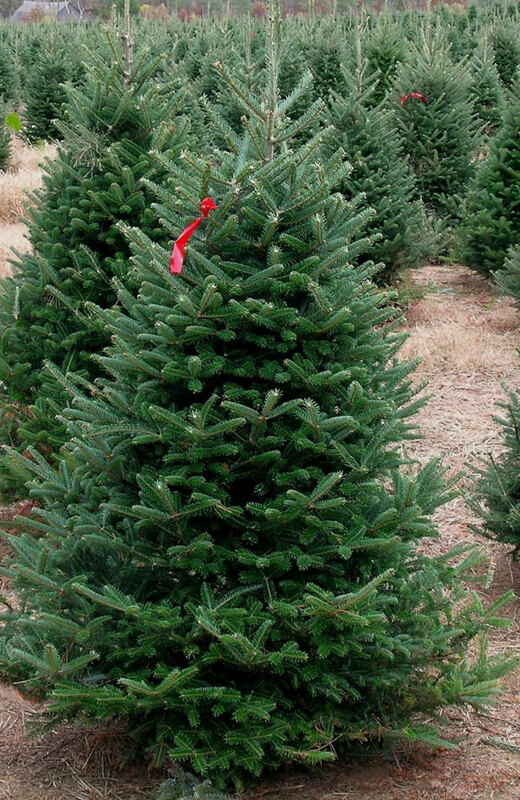 False, over 98% of Christmas Trees sold throughout the nation are grown ON Tree farms with the express purpose of harvesting them for use as a Christmas Tree. "Cutting down a REAL tree is a wasteful concept, as they end up in landfills." While it is true that most cities offer free Tree pickup one or two days a year after the Christmas season, most of those trees actually end up being chipped, not thrown away. Did you miss that free pick-up day? We at Handy Andy's are also willing to take back your tree once you're finished with it. Here we run them through a wood chipper and turn them into mulch that is used to enrich soil we use to provide you with quality plant products. It's a renewable resource. While the tree was growing, it was home to many animals, even though it was grown on a tree farm. As many as 3 to 5 trees are planted to replace the tree that is harvested. Lastly, you're supporting an industry that creates jobs. The care and maintenance of these trees to ensure they are the right shape and grown well, provides jobs to many individuals. 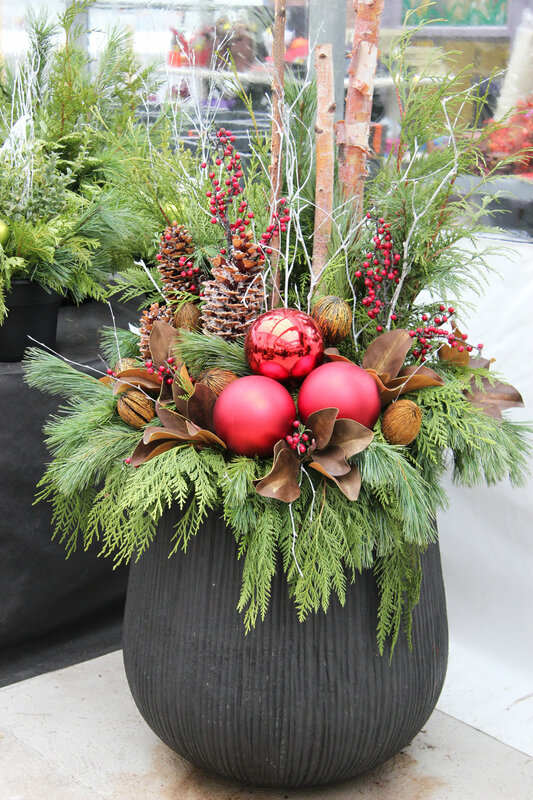 In addition to our selection of Christmas Trees we have available, we also have a great selection of fresh Garland, wreaths, and boughs to decorate your outdoor pots as well as your indoor environment. Below you will find pictured a few of our wreaths that will be available. We will also have Fraser Fir and Balsam Fir wreaths that are not pictured below. This beautiful wreath begins with a Noble Fir backdrop and adds cones and sprigs of cedar to finish off this festive addition to your front door. While not as fancy as some of our options, this simple Juniper wreath's blue juniper berries really add to the unique texture this wreath offers. Tastefully completed with Western Red Cedar, Green Boxwood, Bear Grass, Ponderosa Pine Cones and clusters of bright Red Berries. IN ADDITION TO ALL THE FUN HOLIDAY ITEMS THAT WE’LL HAVE AVAILABLE, WE ALSO HAVE A SERIES OF FUN WORKSHOPS WE’LL BE DOING FOR THE CHRISTMAS SEASON. SEE THE CLASSES AND THE DATES BELOW. REGISTRATION WILL BEGIN ONLINE STARTING NOV 1ST. DESCRIPTION: The registration fee for this Holiday Pot workshop will include a greens allotment. You may bring your own container from home, or you may purchase one that evening. We usually have some sales on pot choices these sessions. The embellishments, bulbs, branches, etc will be available at additional charge. DESCRIPTION: The registration fee for this workshop will include the cost of your Balsam Fir wreath. Embellishments will be available at additional charge. DESCRIPTION: The registration fee for this workshop will include a greens allotment, floral foam, and a container for your centerpiece. Embellishments and container upgrades will be available at additional charge. DESCRIPTION: Using greens we’ll make our very own “Sven the Gnome” to put on your front step. Average Sven’s will be between 12 and 14 inches tall from bottom to the top of the hat. The registration fee includes everything you will need to make your Sven. You will have the opportunity to make additional gnomes at additional cost that day.